"My Listings May Be Antique, But My Marketing Is State-of-the-Art"
Virginia "Beth" Harpell--Certified Historic Property Specialist-- As a Vintage & Historic Property Specialist & Certified through both the National Trust for Historic Preservation as a Real Estate Specialist & also through Drew University's Historic Preservation Program, I'm the only double-certified Historic Property Specialist in NJ. Choosing the only professional real estate agent who has specialized credentials and education is the most important decision you'll make when selling a niche property. Marketing the unique history of your property adds value to your home, and makes it stand out from the other vintage and period properties on the market--highlighting its provenance, architectural details, and character. 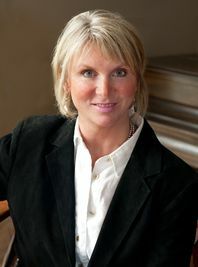 Beth has been a full-time licensed Real Estate professional for over 15 years in Sussex County, Warren County, Hunterdon County and Morris County, and founded HistoricHouseHunter.com in 2007 as her venue to become foremost in the area of Historic Real Estate. Through HistoricHouseHunter.com, Beth has pioneered the specialized targeted marketing of vintage, antique and period properties for which she has become so widely known. She prides herself on providing clients with the results-oriented energy and unparalleled knowledge that only true a dedicated preservationist can offer. Educated at Rutgers University, then subsequently through Drew University's Historic Preservation Program and the National Trust for Historic Preservation's Real Estate Program, she has established herself as an authority in a field for which she has true passion and expertise. Having personally worked on three of her own early home restorations--a c.1790 Colonial Saltbox, a c.1860 Greek Revival Center Hall Colonial, and a c.1753 Stone Bankhouse with French Huguenot-style influence which that my husband & I saved from demolition & are currently restoring and has recently earned its Letter of Eligibility for the State and National Register of Historic Places due to its "extreme rarity of form and style" from the NJ State Historic Preservation Office-- makes her invaluable when looking at "project houses" or finished projects. Contact Beth directly to inquire about all the fabulous vintage and early properties that are available today, or for a private consultation if you're thinking of putting your special historic home on the market. What Did My Neighbor's Home Sell For? 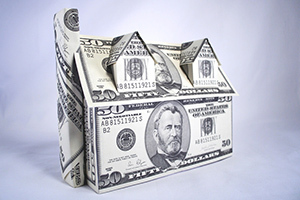 Request a FREE analysis of what a certain home is worth.